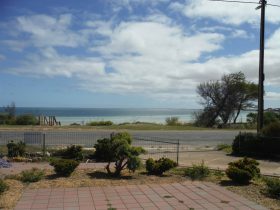 Seaclusion is a two storey holiday house, located a five minute drive to both Moonta Bay jetty and Port Hughes jetties. 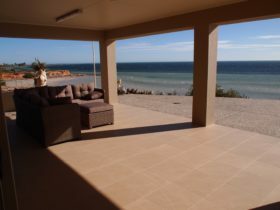 An ideal Yorke Peninsula family getaway, Seaclusion is only 600m walk to the white sandy beach. 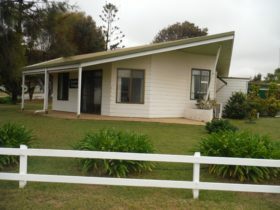 With three bedrooms – queen, trio bunk and two king-single beds and sofa bed, this property can sleep up to nine guests. 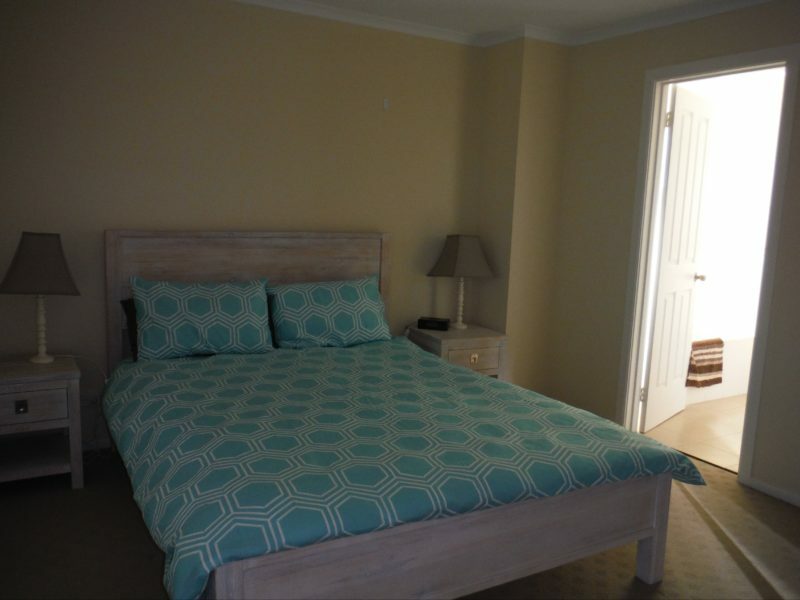 Quilts and pillows are provided, guests should bring their own linen, sheets, towels, tea-towels and bath mats. 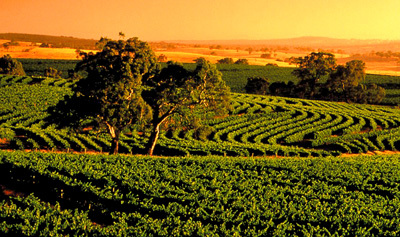 Optional linen hire service is available through Country Getaways office. 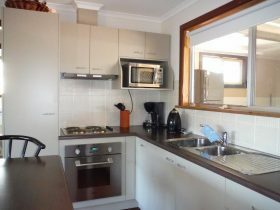 The well equipped kitchen has a dishwasher and coffee machine. 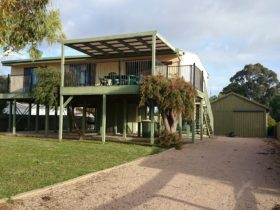 The lounge area has television, DVD player and PlayStation 2 (bring your own games). There is ducted reverse cycle air conditioning throughout. 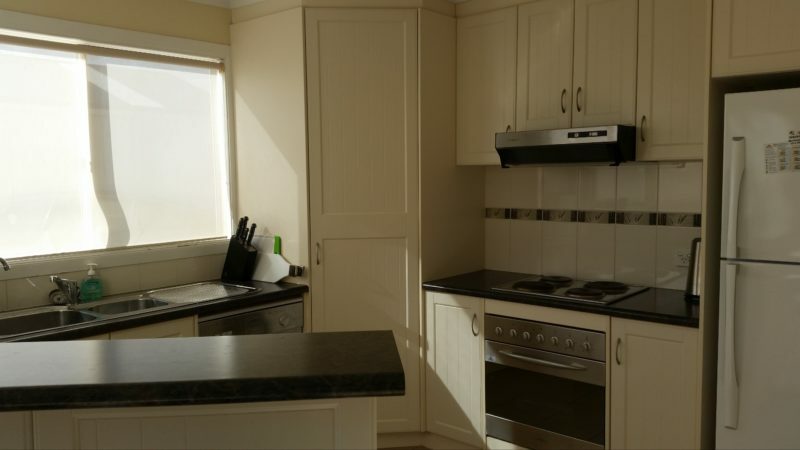 Other features include two bathrooms (one an en suite), washing machine and dryer. Outside you’ll find a large back yard (not fenced), ideal for cars and boat parking. There’s a barbecue, outdoor setting and fish cleaning sink. 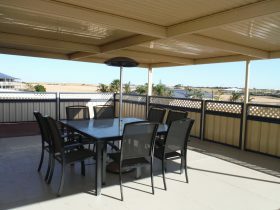 The double garage at Seaclusion can be used for vehicles or as a shaded outdoor dining area. Two night minimum stay applies. 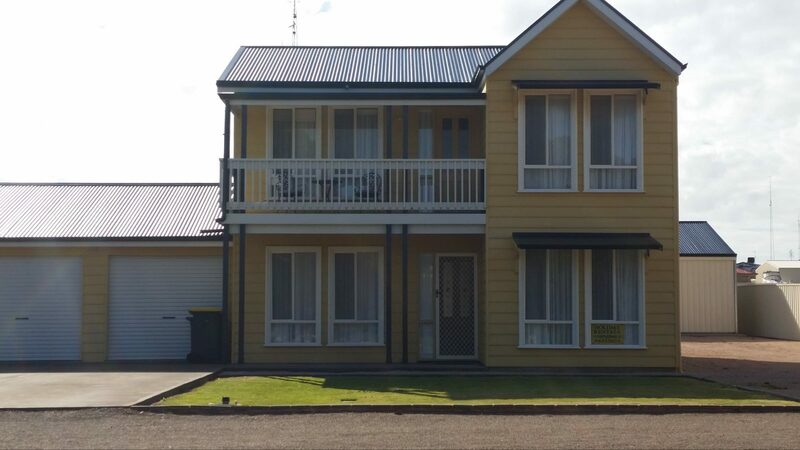 Booking (AUD22.00) and cleaning fee (AUD70.00) applies, payable direct to Country Getaways upon booking.